Vintage Treasure in Martinborough: Meet talented customer Carolyn and my cutest customer yet - Oscar! 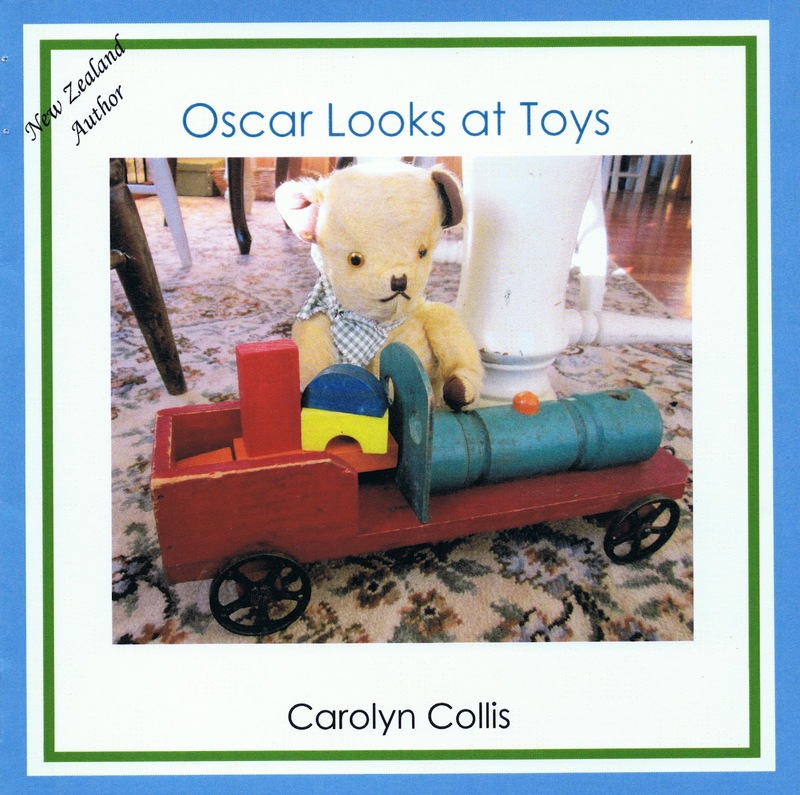 Meet talented customer Carolyn and my cutest customer yet - Oscar! Yes, there is a new cute guy in town so you must meet him - he is Oscar. He's very cool and has already found his way around the Martinborough area, getting to know the town and the people and the animals in the paddocks. Quite a socialite I heard he even had a meeting with the Mayor! I was very excited recently when he came into my shop!! Now, Oscar is already over 60 years old but still a child at heart and he loves adventures and getting out and about around town. 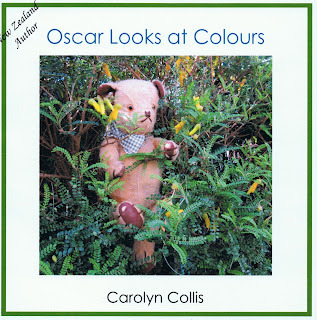 He has so much fun that lovely colourful books have been written about him and his friends. 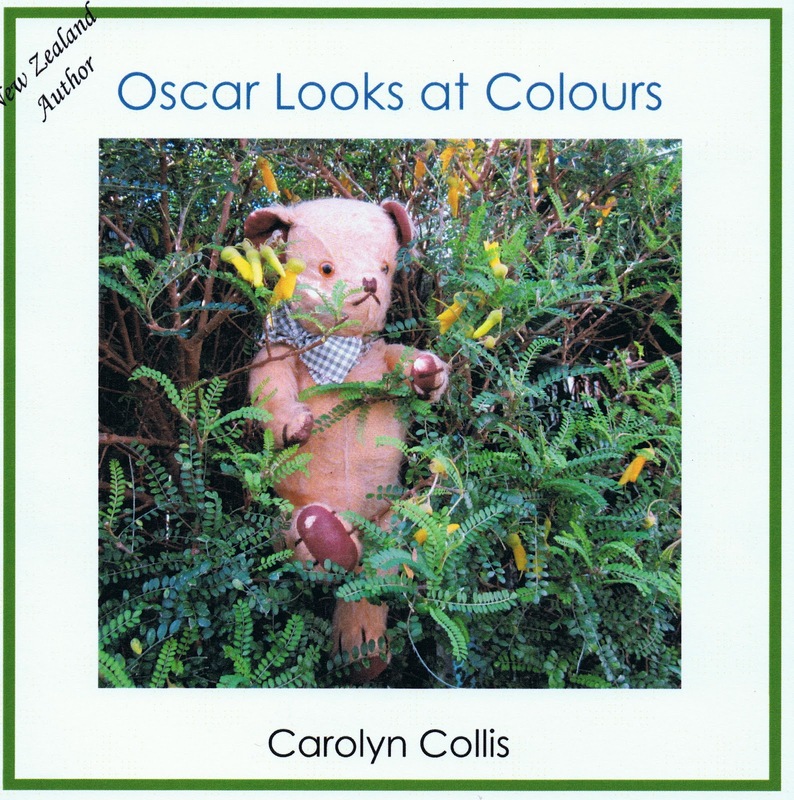 Created by the talented Carolyn Collis they are now being published in Martinborough by Summer Rose Books. 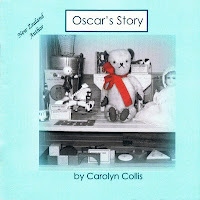 I don't want to give too much away but can tell you that Oscar is the star in a series of early reading books based on his many adventures. 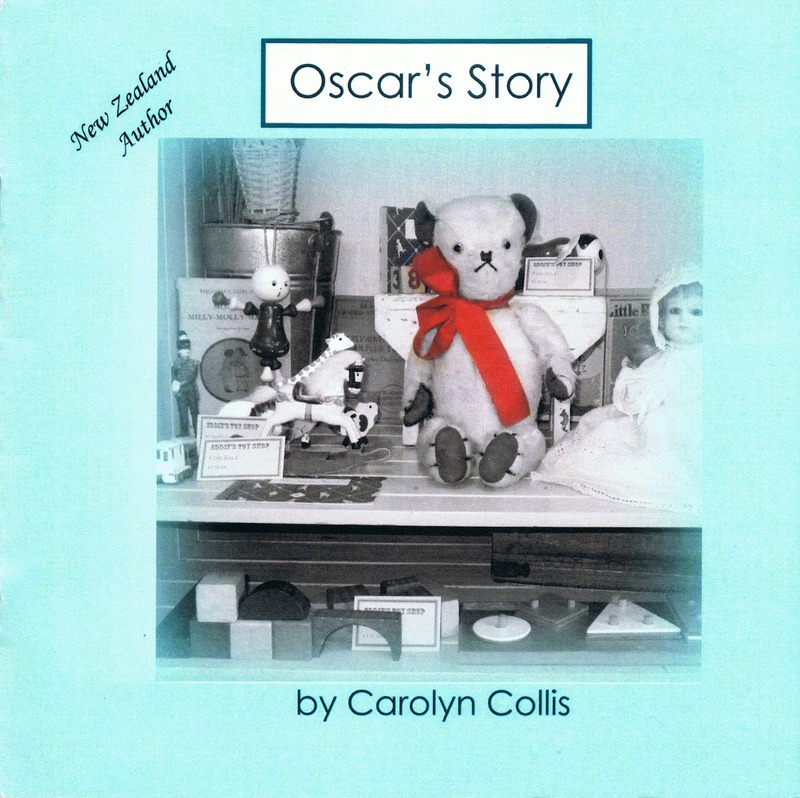 Beginning Reader series supports the NZ school curriculum. Each book is created to encourage early readers to enjoy reading. There are clear bright colourful picture clues to help read the text. The text is graded introducing new words in stages. The photos of Oscar are all realistic, full of interesting things and in home or natural rural settings. Wouldn't these be fabulous stocking stuffers for the grandchildren. New vocabulary is supported with repetitive text. 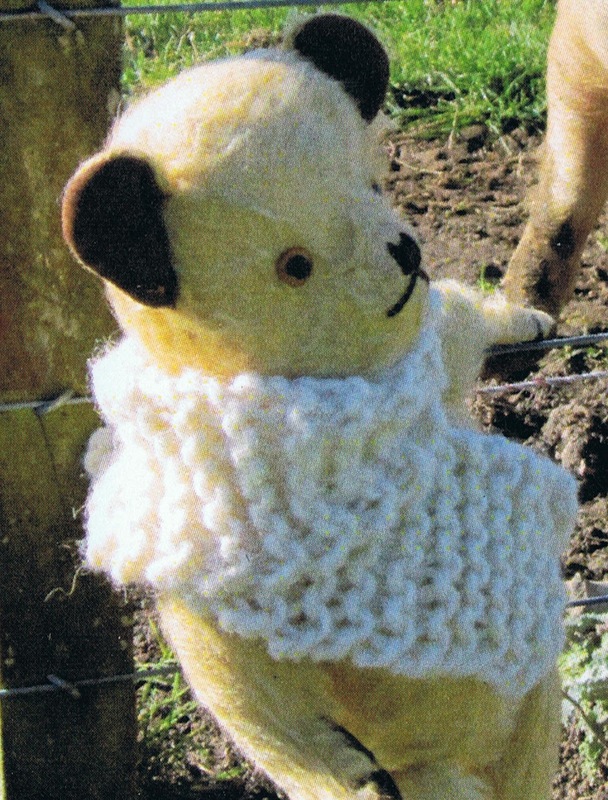 Oscar also "Looks in the Garden" and "Looks at the Farm" ... and maybe more to come as he's out and about most weekends. It's great to see the familiar Martinborough landscape - you might recognise your own street! Oscar has friends - the "Ladybird Finds a Rainbow" and "Ladybirds Find Two of a Kind" an early maths read-alone book looking for pairs of objects. Look a little more into the box of goodies and you will also find editions featuring hens and mice! 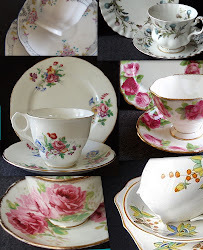 These little treasures are available from the shop at $4.50 each or contact me for on-line purchases. 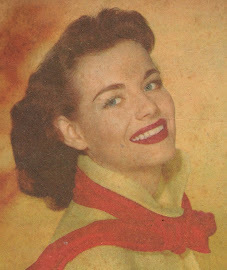 Hi, I love your things! Just wondering if you have any 'pink and green' woollen blankets for sale (like the one you have pictured on the website). Thanks for your interest - yes the pink and green blanket is for sale - it is the Roslyn one? just checking I have the right one. It is a single size and $55. 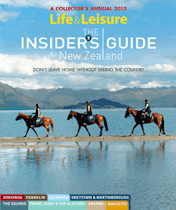 Send me your details on email dgeisler@paradise.net.nz and I can check mail costs etc.